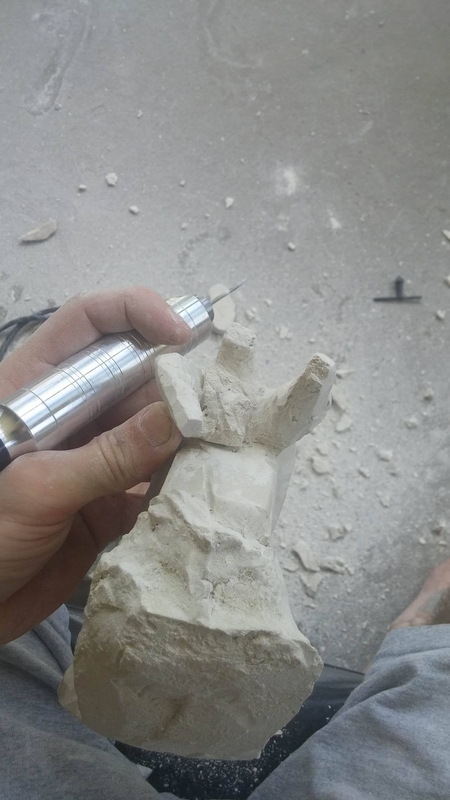 This application isn't the best for all core moulds, but it can be a lot easier when working in small scales like a hand or foot. 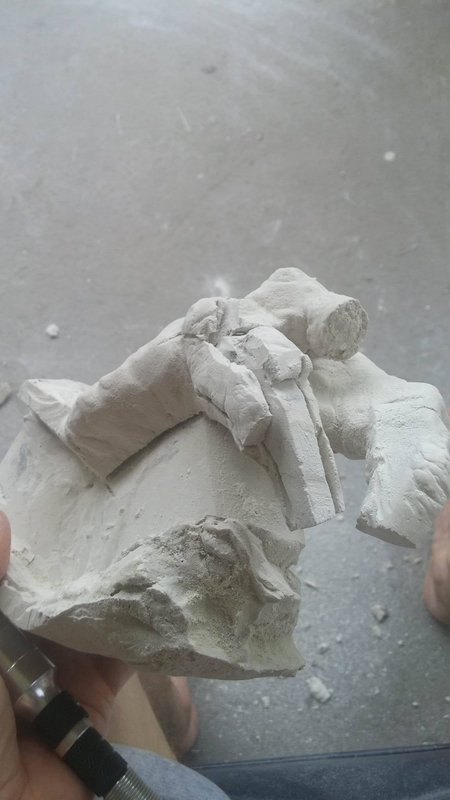 Normally to get the correct thickness for a final skin, you'd line the inside of the mould with clay and pour plaster as your core, but sometimes a mould can be to small to get your hand in to line with clay. 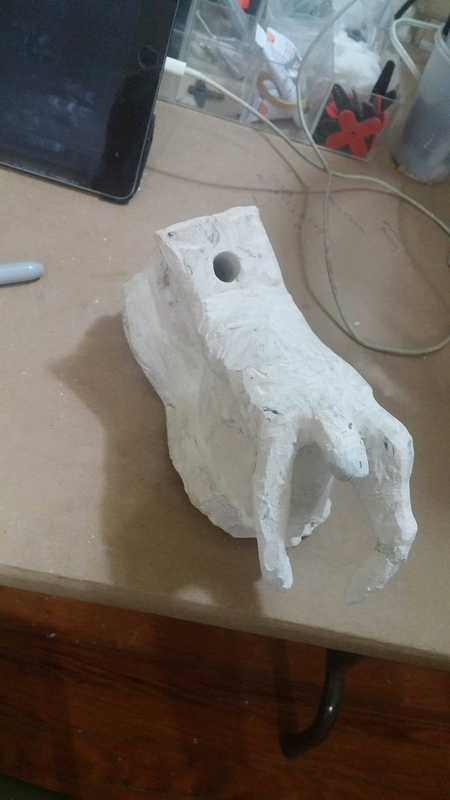 Here's an easy way to get a core mould made from plaster without clay. Next I take a dermal with a cutting disk and cut away the plaster to the thickness I'd like the final skin to be. Any small areas I can't reach with the cutting disk, I switch to a smaller bit and slowly take out the rest. Finally, I clean up the corners and drill a pour hole, two if the mould doesn't have an area for air to move out while pouring silicone in. 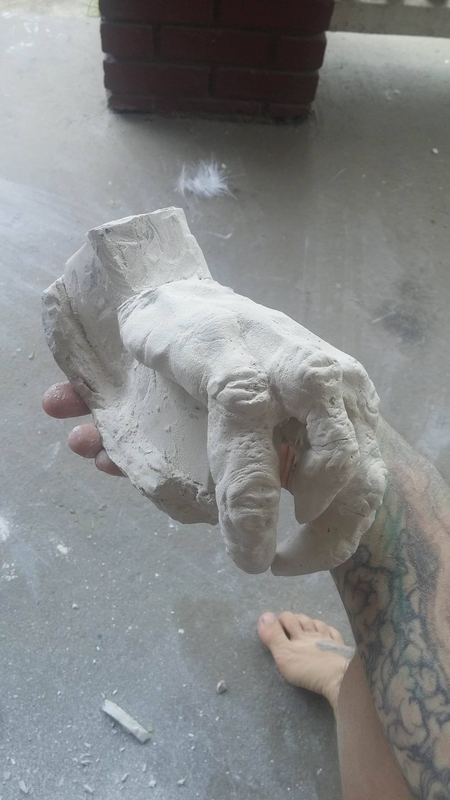 Is this hand part of a larger project? Thanks @Chris Ellerby! Yeah, it's part of a larger creature. I'll post photos of the project soon.